I cannot believe that summer is just around the corner for us! We are literally counting down the days to our summer break from school. We only have a handful of days left then it's summer fun all day long! That means lots of outdoor time for all of us. Pool time, backyard play time, sports, and more. My boys love to be outside all day long if they could. But, the temps here in the summer climb well into the 100s and it is hot! 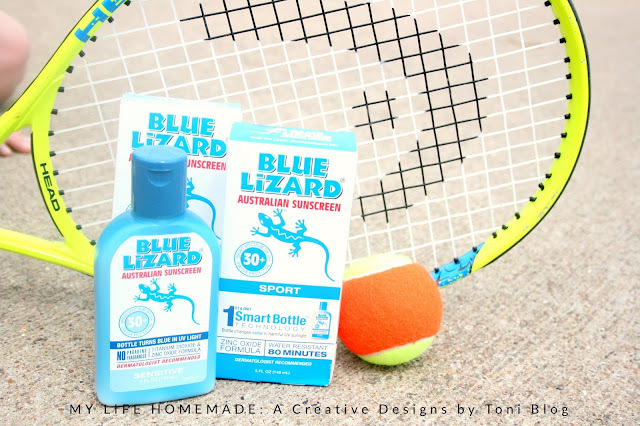 So, whenever they head outdoors, I rely on Blue Lizard® Australian Sunscreen to keep us safe from the sun. My boys are pretty active and keeping them busy during the school year is not a problem. We have football, basketball, and even tennis. But, keeping them busy during the summer is a whole other ballgame. Somethings only last for so long then they get bored or want to do something else. I love that they are learning tennis since it's a sport they can play year round here, with inside and outside courts. Between practices and lessons and hopefully tournaments coming up, they are out in the sun a lot of the time. Blue Lizard® Australian Sunscreen is trusted by dermatologists, pediatricians, and especially moms. Plus, it has a unique zinc oxide formulation and provides broad spectrum UVA/UVB protection from the harmful Texas sun. Ranked as one of the top sunscreens by the Environmental Working Group (EWG). Sport is extremely water resistant. This formula meets Australian standards of staying on 240 minutes of whirlpool water. Originally created in Australia, where sunscreen standards are the strictest in the world. Blue Lizard® is now made in the U.S., in Johnson City, Tenn. So now when the summer time hits and we head outdoors, I know they are protected and that makes this momma very happy! Especially when playing in the water. 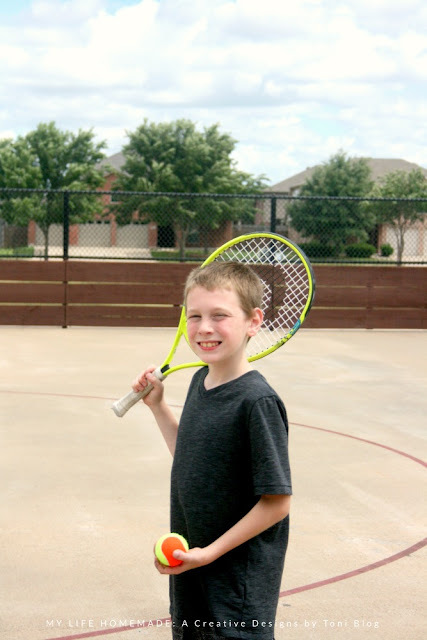 How do you keep your kids busy this summer? I try to keep them busy by doing something fun and new each day. In order to keep track of this and not scrambling last minute to find something to do. 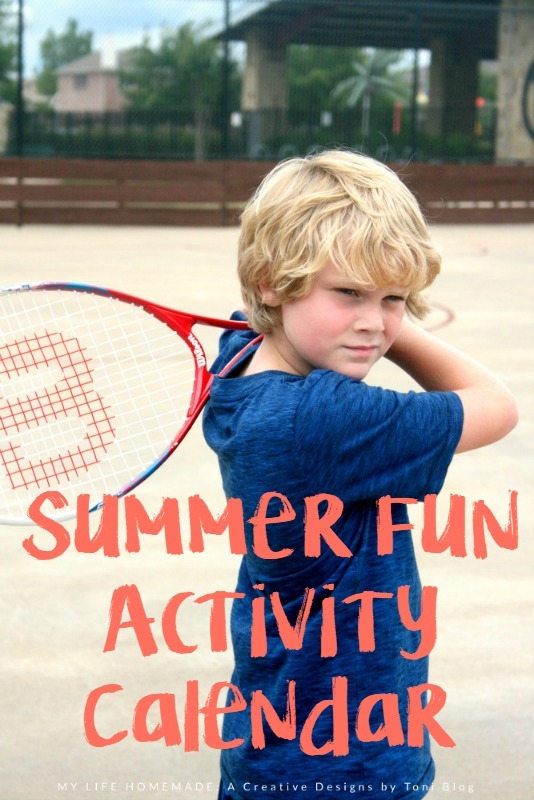 I created a summer fun activity calendar full of activities that I know they will love! Movie nights, baking treats, star gazing, ice cream runs, summer reading, and even hosting a lemonade stand! Something fun each day and to keep them active and something to help make the most of the summer. 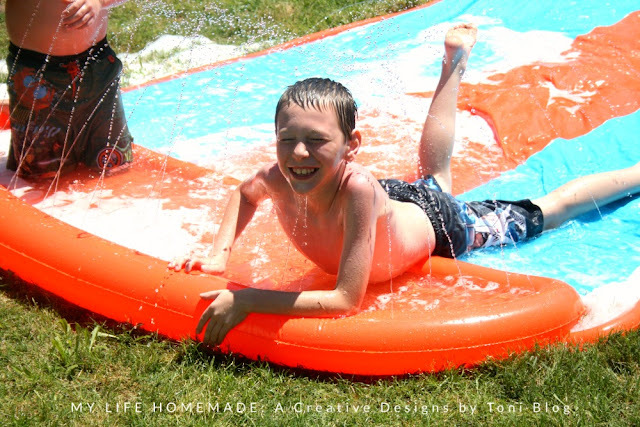 Download our printable summer fun activity calendar for June HERE and July HERE to keep your summer packed full of fun things! Plus, don't forget to stop by your local Wal-Mart to stock up on Blue Lizard® Australian Sunscreen to protect your family during all your summer adventures! Join iBotta and earn $4.00 when you purchase Blue Lizard® Australian Sunscreen (baby or sunscreen based on round), 5 oz. bottle only.